Matterhorn glacier paradise – a world of adventures. From here, mountaineers and hikers accompanied by mountain guides set off to scale the Breithorn (4,164 m), a 2.5-hour climb up the perennial snows; for many hikers, this is their first ascent of a 4,000-metre peak. On some days, the views from the observation platform are so clear they seem to stretch as far as the Mediterranean. Mont Blanc (4,810 m) in France, the highest mountain in the Alps, towers above its neighbours; the summit of the Gran Paradiso (4,061 m), Italy’s highest peak, is often also visible. The air up here is thin, so visitors should take plenty of time to explore. This is also the summit of the international ski area, open 365 days a year, and the gateway to Europe’s largest summer ski area. 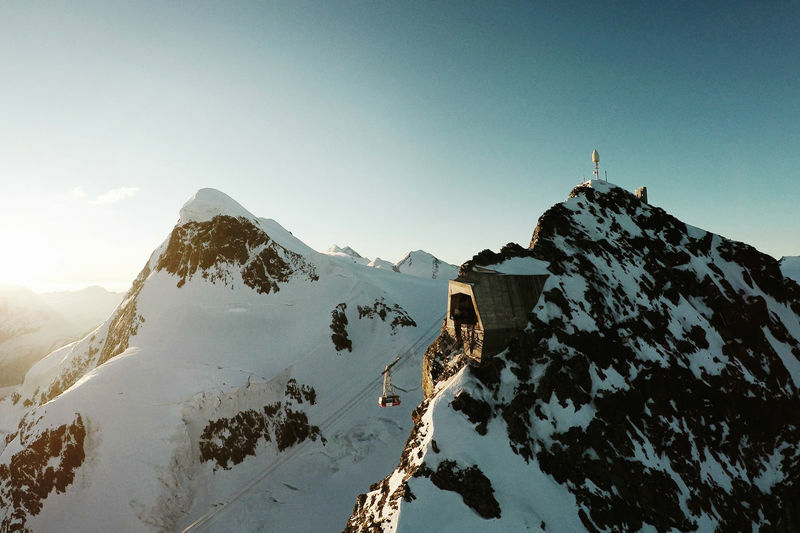 Up here, right by the Italian border, visitors see a very different side of the Matterhorn. This comes as a surprise: the view is very different to the one from the Gornergrat or the Rothorn, it’s as if the Matterhorn has acquired a new look. In fact this vantage point offers the finest view of the mountain’s south face. Anyone seeking the autograph of an international ski star has the best chances of success up at Matterhorn glacier paradise. 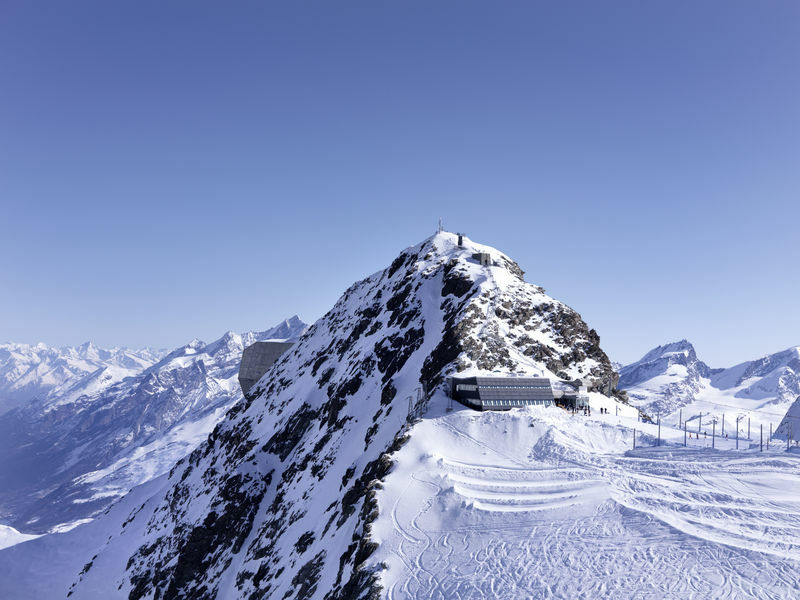 In summer, nearly all the world’s national ski teams train for the speed disciplines up on the glacier, and all the athletes have to pass through the summit station to access the summer pistes. 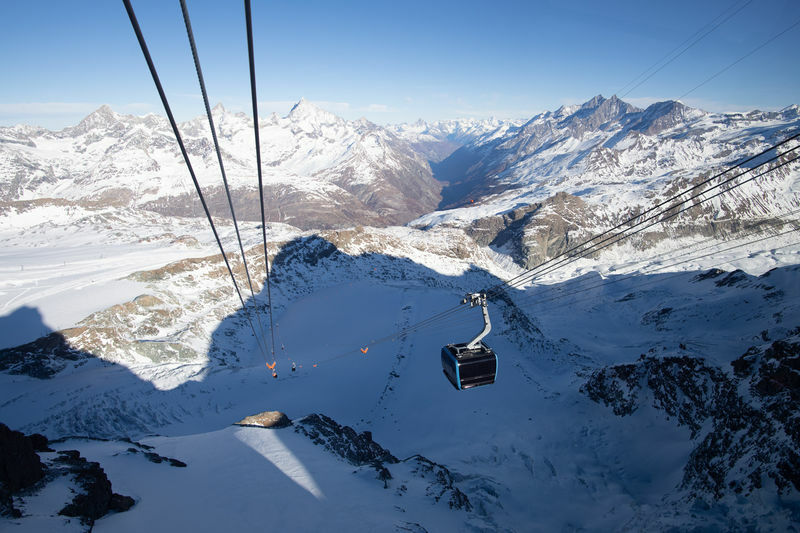 The world's highest 3S cableway has been carrying visitors to the Matterhorn glacier paradise since 2018. 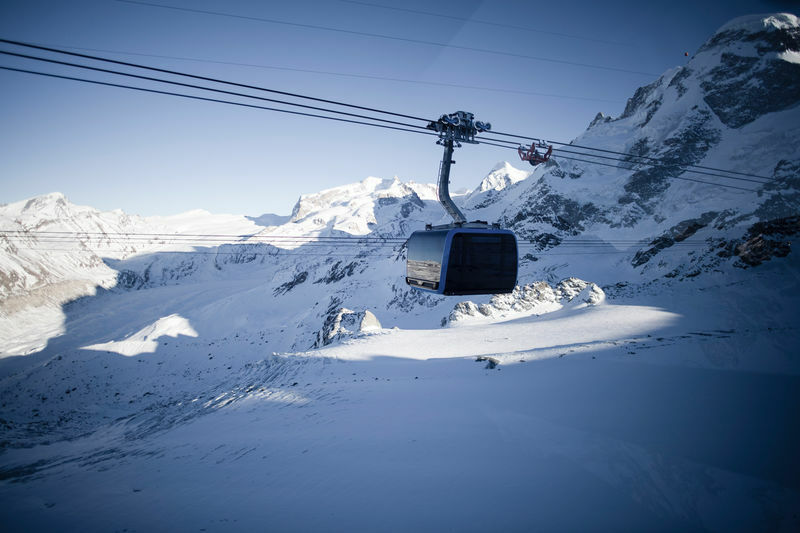 The Matterhorn glacier ride, with gondolas created by the Pininfarina design studio, was developed in addition to the existing aerial tramway and offers a more comfortable and luxurious trip. It also increases the transport capacity by 2,000 guests per hour. The highlight of the modern cable car are its four “Crystal ride” cabins, which are coated with Swarovski crystals. During the nine-minute journey, the four special cabins offer a spectacular view: after three minutes, the cloudy glass bottom clears in a matter of seconds to provide a magnificent view of the glacier landscape.